Kushagra Gupta is a cognitive science and biology student and is working towards a masters in medical physiology. He's served as The Observer’s The Director of Print since January 25, 2017. 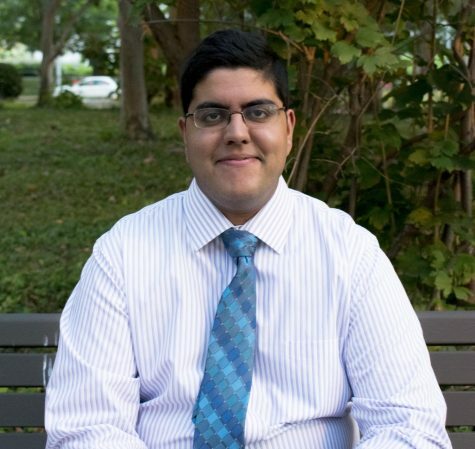 Outside of The Observer, Kushagra was the Chair of the University Media Board and sat on the Student Presidents’ Roundtable of the Student Executive Council. He was co-president of the Cognitive Science Student Organization, a member of Alpha Phi Omega and is involved in research and volunteering on campus. Kushagra also currently works as the managing editor of the satire magazine, The Athenian. During his spare time, Kushagra likes to go out and spend time with friends. When he isn’t with friends, he makes use of an armchair to read or watch TV shows. His favorite part about technology is that it is a one-way stop to either. You can reach Kushagra at kbg26@case.edu.